The estate can have the property appraised to determine current value and equity. When property changes hand due to the death of the owner, there is plenty of paperwork involved. The trustee or executor needs to value the assets to determine if estate tax is due. 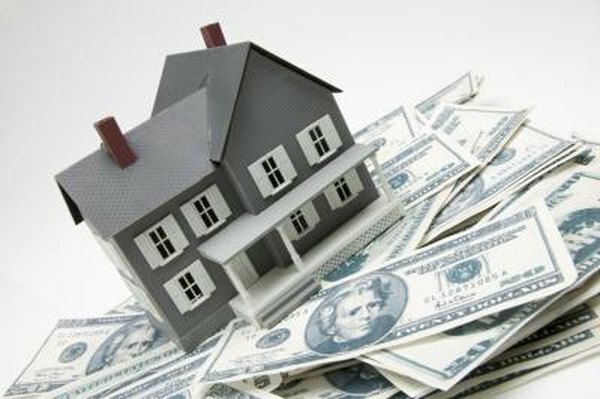 Heirs may want to sell the property or use it as collateral for a loan, and you will need to calculate the equity, which is the value of the property after subtracting outstanding loans or liabilities. Before you can calculate equity you’ll need an accurate appraisal of the home’s value. The sooner you do this the better, especially if home prices are changing rapidly in the local area. Let the appraiser know the valuation is for an estate. If the estate or trust still owns the home, it should cover the cost of the appraisal out of the estate’s accounts, otherwise the beneficiaries will have to pay the fee. Once you have an appraisal, subtract any outstanding mortgage balance and other liabilities. If the estate has taken any length of time to settle, there may be unpaid property taxes, and these will need to be considered in the calculation. In some cases of underwater properties -- the mortgage is higher than the value -- the heirs can abandon the property and allow the trust or estate to dispose of it rather than taking title. If the goal is to sell the property, remember that the home’s basis is the fair market value on the date the owner died. If you are the surviving spouse, the basis in your share of the home remains the same as before, and the basis of your spouse’s share is adjusted to fair market value at death. This information is necessary to calculate a capital gain or loss on the property when it is later sold. If an appraisal was not made near the date of death, contact an appraiser who can make an accurate estimate or use the value assessed for property taxes. Your city or county can provide you with the information from prior years. If you choose to sell the house, to determine whether there is a capital loss or gain, start with the basis -- the fair market value on the date of the owner’s death. Then add in any improvements made since that date and subtract any government credits, canceled debt or insurance payments for damages. If you owned and lived in the house for two of the past five years, you’ll be able to exclude up to $250,000 of capital gains ($500,000 if you are married filing jointly). Otherwise you’ll pay tax on the gain at the long-term capital gains rate. To reduce your tax liability, you may want to live in the property before selling.